Sat., Nov. 17, Children & Family Ministries Work Party, 1- 4 PM, Nursery and Spirit Rooms. Come hang out and help out as we wash, sanitize and organize toys, check over needed supplies, and share ideas about improving our space. Snacks provided and little “helping” hands welcome! Contact Nicole Fitzhugh for more information. Sun. Nov. 18, Many Paths to First Unitarian- Featuring Ella Wise, 11:45 AM-12:30 PM, Starr King Room. 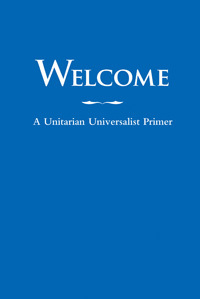 You are invited to hear the spiritual pathway to UU Oakland by Ella Wise. Raised as a UU, she left after Coming of Age; her return back includes a profound experience of deep inspiration to relate to the divine on dairy farm in upstate NY; years of meditating with the Shambhala Buddhism sangha; & an awkward campfire singing songs in Hebrew. Her heart feels good whenever she comes to church. Welcome to Many Paths. Questions? Please contact Bev Smrha. Nov. 25, 11:30 AM – 1:00 PM, Write Holiday Cards for Incarcerated UUs!, Wendte Hall. Every year, our denomination’s Church of the Larger Fellowship (CLF) sends holiday cards to its incarcerated members living in prisons throughout the US. Ingrid and Charlotte invite you to write your holiday greetings and learn about the CLFs prison letter writing ministry. This ministry is a vital, loving link for incarcerated and non-incarcerated members alike. See you in Wendte Hall. Our children and youth will write greetings and learn about the Church of the Larger Fellowship during their meeting time on Nov 25. Questions? Please email Charlotte. Sat., Dec. 8, “I Dream a World” Holiday Concert, 7 PM, Hamilton Hall. Join us Saturday, December 8 for this annual musical celebration of winter holidays. You won’t want to miss this eclectic mix of music featuring the Crescendo Choir, Joyful Noise, and several talented soloists and small groups singing and playing a variety of genres. This event is always a rockin’ good time and a great way to spend time with our church family. The show will be followed by a reception. Tickets are available during coffee hour or, To purchase tickets online, Click Here. Tickets are priced on a sliding scale, with opportunities to give more to support the church—but as always there is a “pay what you can” policy, because it’s important that you’re there! Free childcare available with advanced notice. Contact sharonc.dolan@gmail.com for childcare, to volunteer, or for more information. Click here for our Facebook event page.